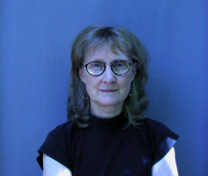 Christine Laffer began her studies in architecture in 1969 at the University of Illinois in Chicago. After discovering textiles she moved to the San Francisco Bay area, where she studied tapestry with Jean Pierre Larochette and Yael Lurie. 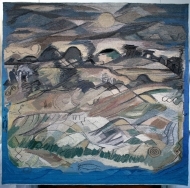 In 1982 she began weaving images of cloth and architecture, and in the following years finished several large commissions. She studied for six months (1984-85) at the Manufacture Nationale des Gobelins in Paris, receiving a letter of high recommendation from director Gérard Dehais. She completed her MFA at San Jose State University in 1995. Laffer has shown her work nationally, spoken at professional symposia, and published articles. Tapestry continues to be her medium of choice as she develops a conceptual meld of bas-relief sculptural form and mute image. 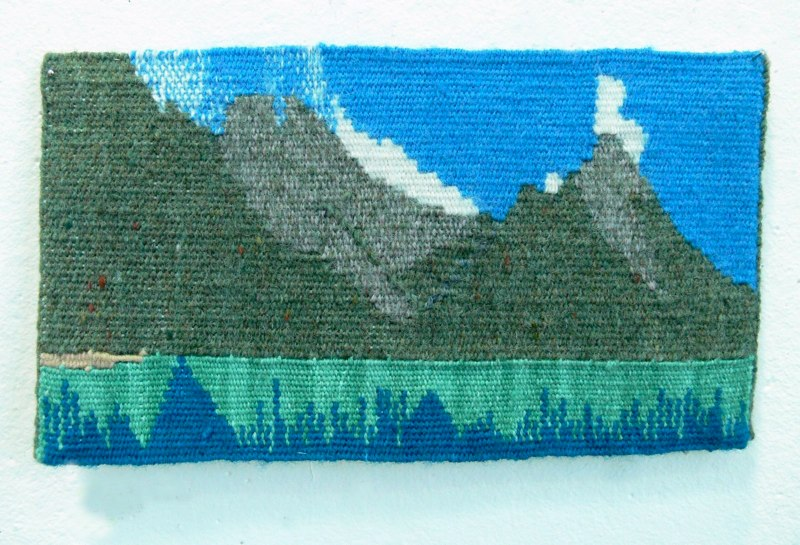 Occasionally she combines the weaving with cloth found objects drawing, or prints. Recently completing 2-1/2 years as Gallery Coordinator at WORKS/San José, as an alternative art and performance space, Laffer now works full-time in her studio. She has edited (detail), a journal of art criticism published by the South Bay Area Women’s Caucus for Art and was Guest Editor of June 1998 issue of Switch, an on-line publication of the CADRE Laboratory for New Media. Although an unusual medium for a contemporary artist, I have found that tapestry has a compelling structure for image and content. The classical French method of designing and weaving proceeds in a systematic and exact way, steeped in a long tradition. Yet there remain stray threads of exploration that were dropped or never fully developed, waiting to be picked up by contemporary artists. Since the days of my study at the Manufacture Nationale des Gobelins, I have taken this technical language and tried to release some of the strange potential it contains. 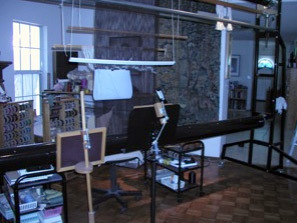 With Gragonard and Boucher in the 18th century the physical quality of tapestry reached its thinnest point, the period of maximum denial of weight and gravity. 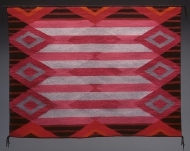 In the last half of the 20th century the imaged cloth regained its weight and physical substance. 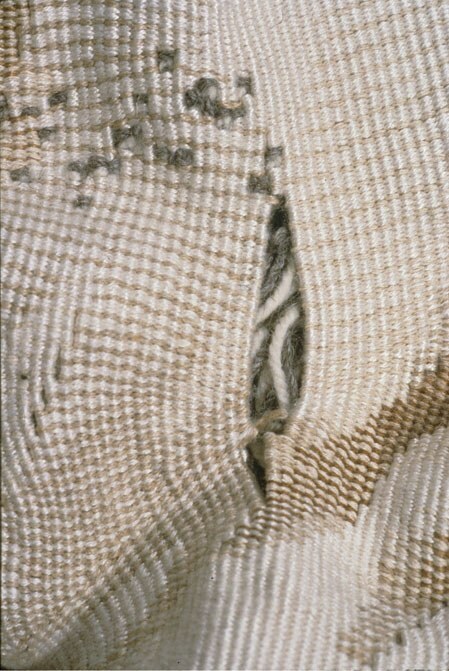 Artists from the 1950s to the 1970s worked in thicker and thicker weaves with evident texture grain, shifting to denser object qualities to hold to large-scale static walls. I see these transformations, of the medium forming and reforming itself, as willful attempts to encompass all its possibilities. Tapestry does not have the translucence of paint, nor the flatness of stretched canvas. It exists outside limited by its “body,” its exposed surface, its weight. In keeping with the qualities of this medium, I have conflated the image and the object in what I call shaped eccentric tapestry. The internal shifts in the weave structure cause surface buckling and undulation, as if the form had collapsed but somehow still lived. Since in my mind the image is the same as the object, I use references to garments and the body to convey an emotionally charged view of difficult human states – particularly those where the physical and mental components are unified, such as the position of sacrifice. In keeping with the qualities of this medium, I have taken images of cloth and set them in relation to architecture, thereby framing and elaborating on some part of human life. This works enmesh the fabric with the urban images and form another cloth, colored an emotional range of experience. Because of my background in both architecture and textiles, I am constantly struck by the contrasts between them, their different elements of texture, weight, pliability and durability, and how they convey their meanings through the way they are used. These two man-made constructions, through our use of them, come to symbolize aspects of our internal conflicts. They easily oppose stability to flexibility, longevity to ephemerality, wealth to poverty, the desire for moving freely to the need for standing still, and these oppositional images can be interwoven within a single cloth, much as they exist in an individual life. The two development sources from which I work have been small tapestry sketches exploring the emotional content of form and woven mark, and photographs and drawings that document the cities I have seen. Large projects require preparatory work and go through several stages of development. The final design reaches completion only on the loom. 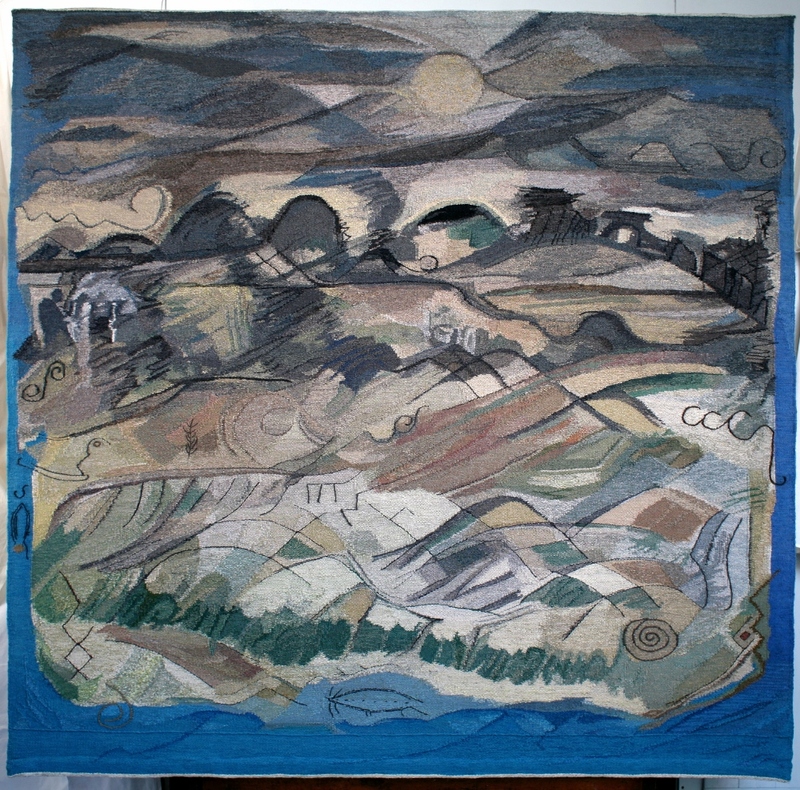 Recent work has incorporated a third stage, with sculptural relief which takes shape only after the warp is cut and the piece is hung on the wall. The suggestions of the medium continue pointing to other combinations, other folds or twists in the cloth of tapestry, of control or loss. The medium lives because it must, survives because if can. 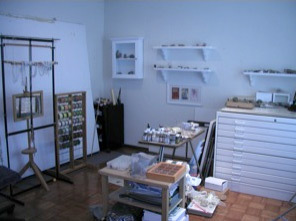 As artists we become the medium of the medium, temporarily occupying a site used by previous nomads and marked by them.